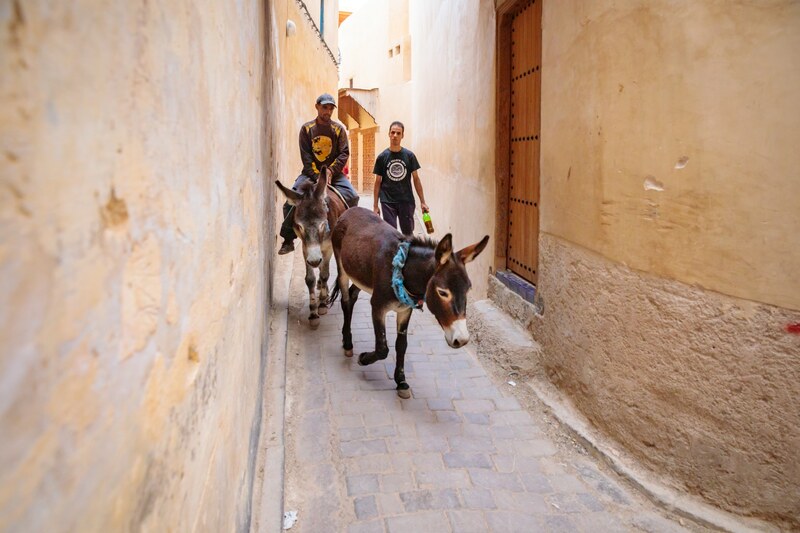 I got to explore the great Imperial city of Fez, ancient city and its walled medina. 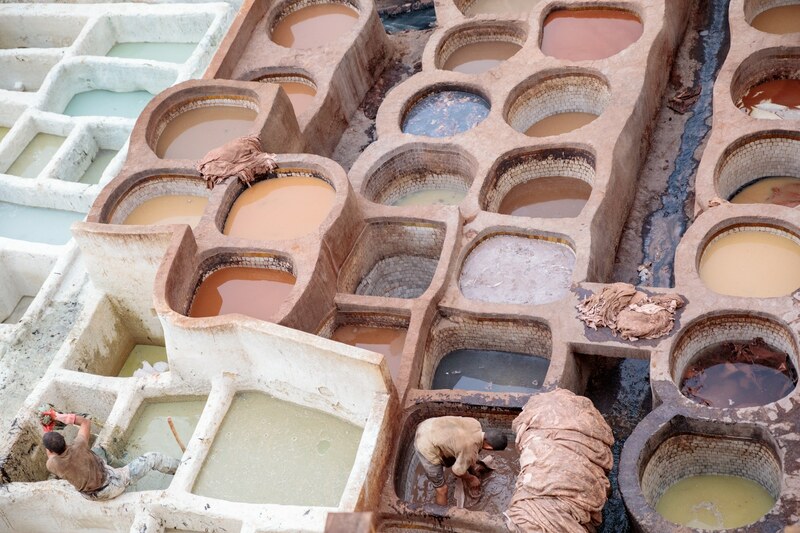 Ancient leather tanneries were my first focus. 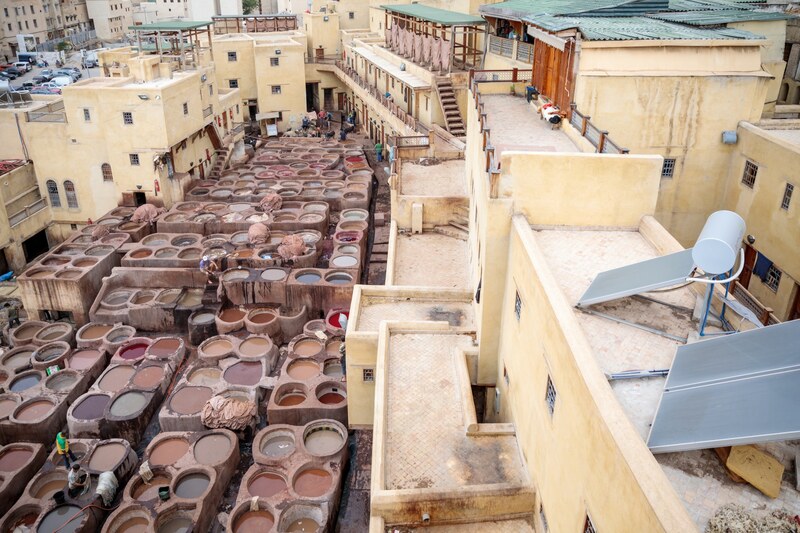 I wanted to see where does this fine, smooth Moroccan leather products take it’s production place. I was aiming to find Chouara Tanner, the largest and the oldest one. 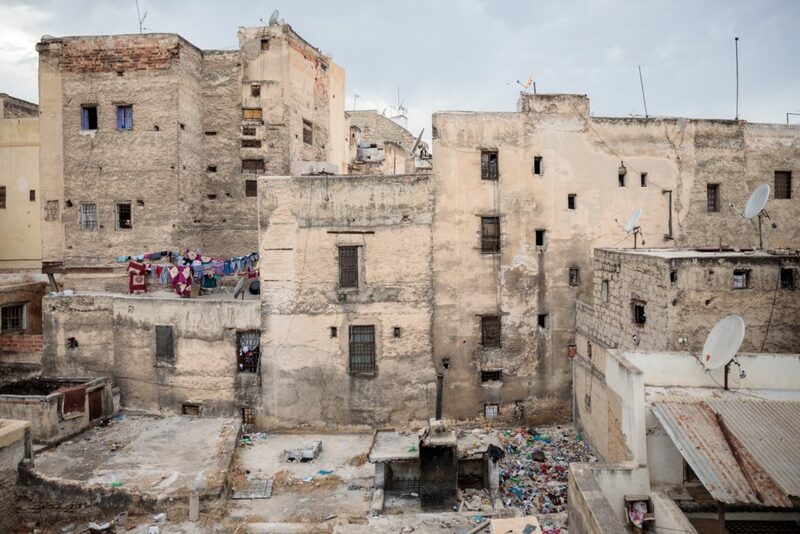 (almost a thousand years old) I took wide angle lenses and went in to action, following the smell. We found it. What a colorful spectacle. 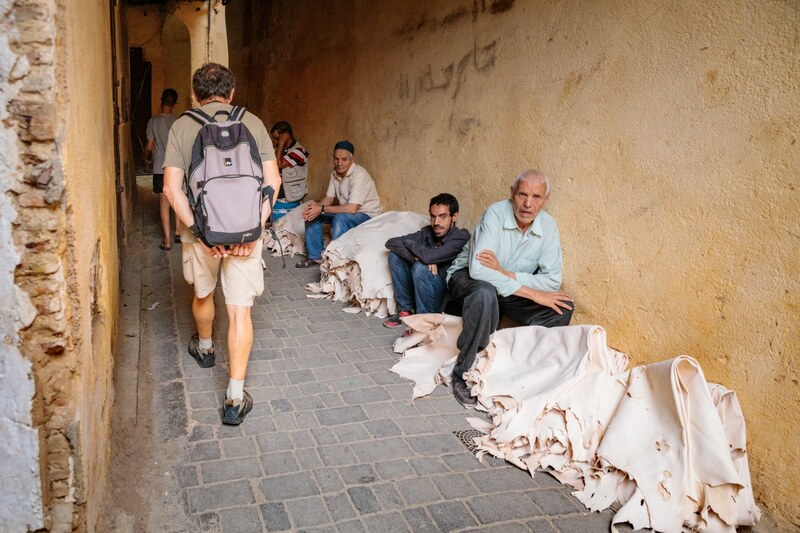 All Berber Leather products are made using full grain leather and is the highest quality grain of leather that you can get. The tanners use 100% natural resources and no artificial products or chemicals. 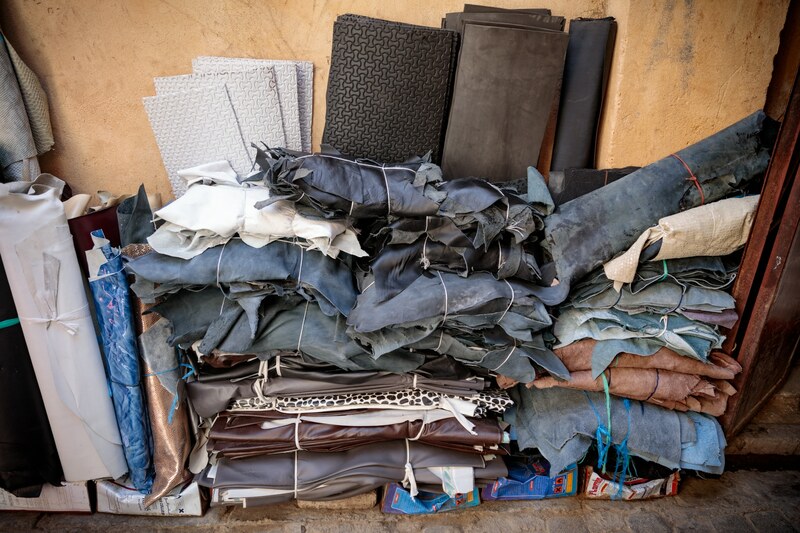 Hides are first soaked for a few days in a mixture of cow urine, quicklime, water and salt to break down the tough leather, loosen excess fat, flesh, and hair. Set of vats contains a mixture of water and pigeon poop. 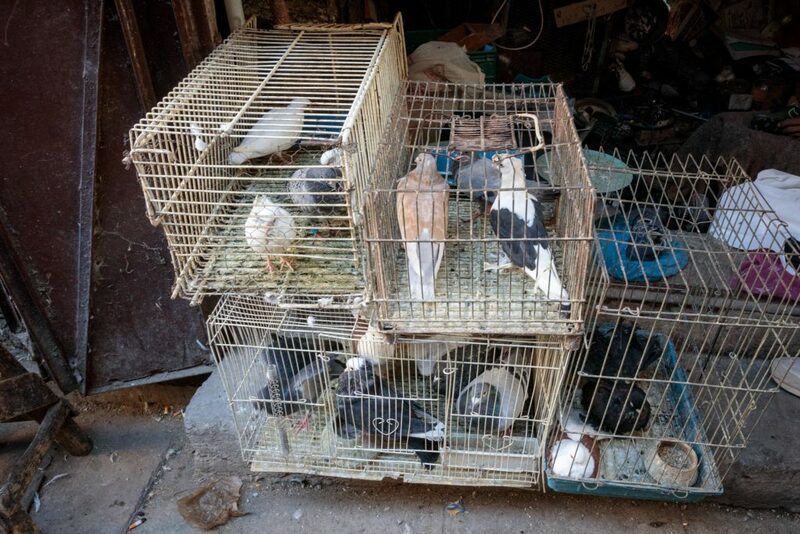 Pigeon poop contains ammonia that acts as softening agents that allows the hides to become malleable so they can absorb the dye and achieve the desired softness. Dry on the roof under the sun. 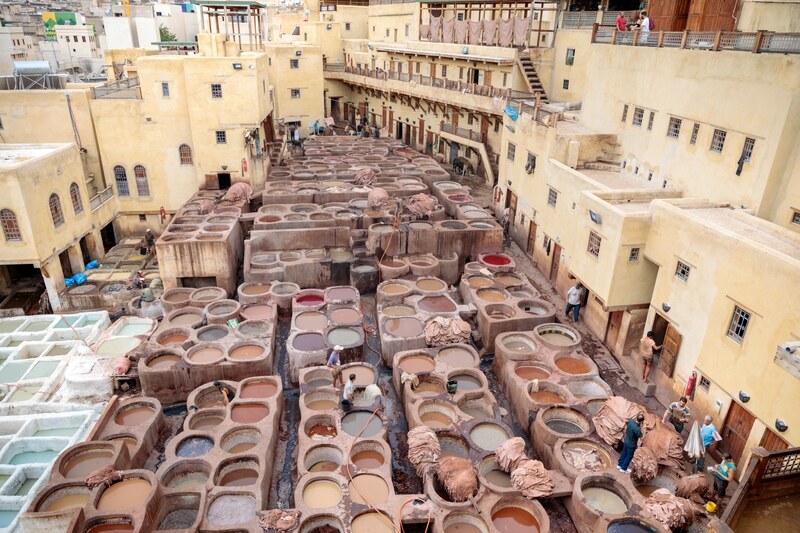 The colourful pits are filled with natural dyes. 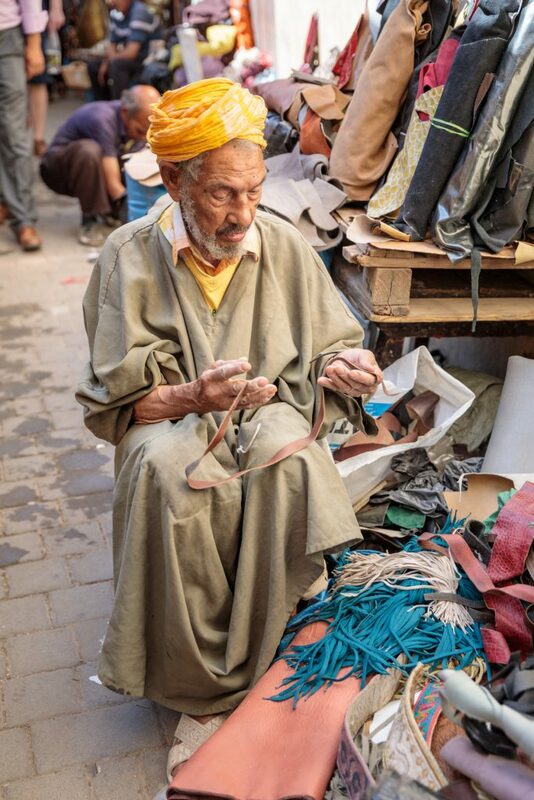 Leather is sold to Moroccan craftsmen. 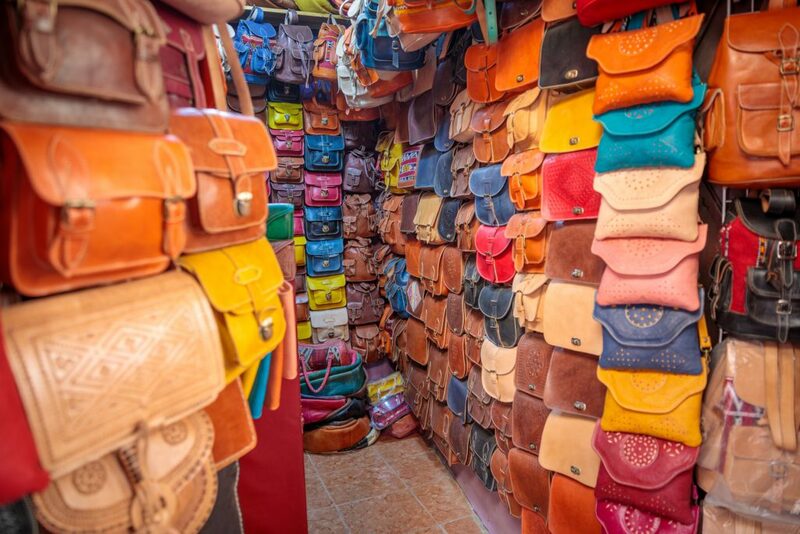 On market: babouches (Moroccan slippers), shoes, handbags, wallets and other leather accessories. 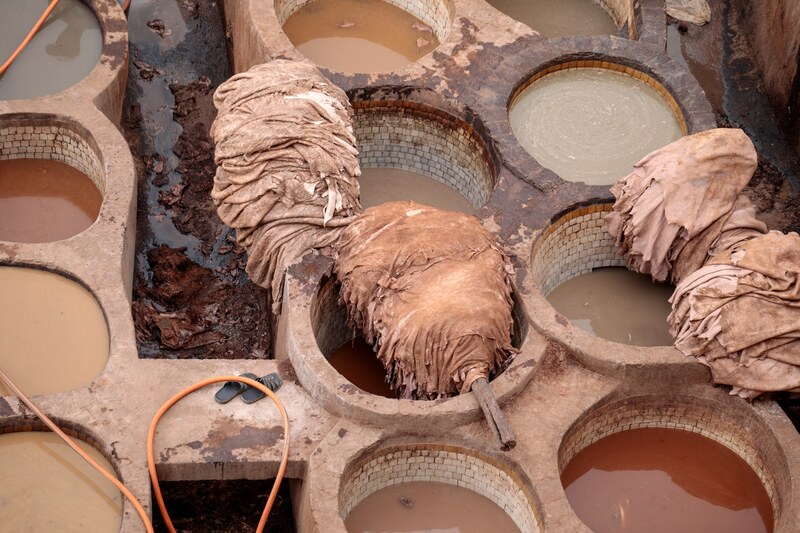 I was absolutely fascinated by all the hard work and effort put into the leather. All is achieved manually. 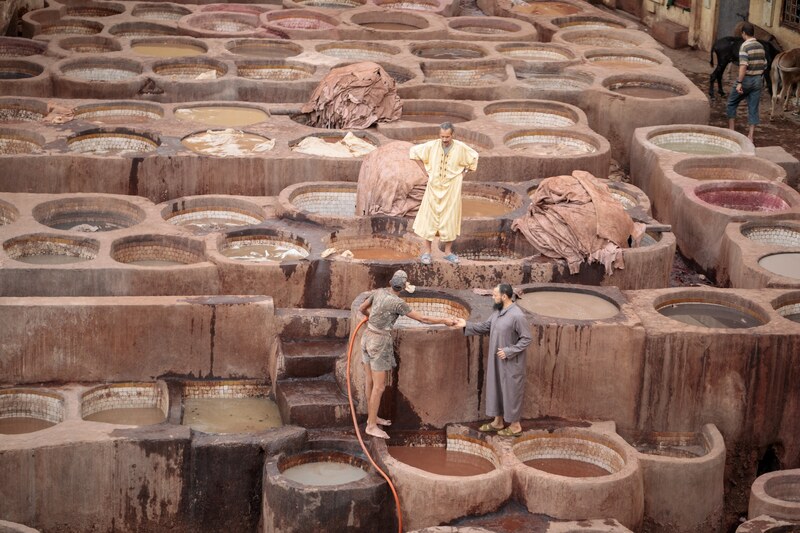 No modern machinery needed and the process stayed the same since medieval times. 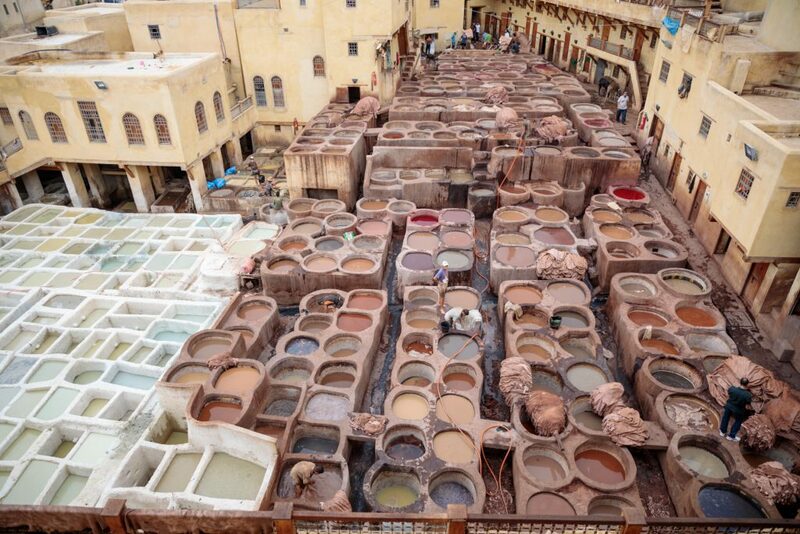 Dozens of men are working under the hot sun, standing waist deep in dyes- barefooted, tending to the hides that remain soaked in the vessels. I had some problems with the strong smell while observing and shooting the story. Pigeon poop- Strong smell of ammonia almost knock me out. I was ready to vomit at any second, but worth it. I did my best with a couple of lenses, running through the halls, up and down the stairs, so I kind of make it manageable. 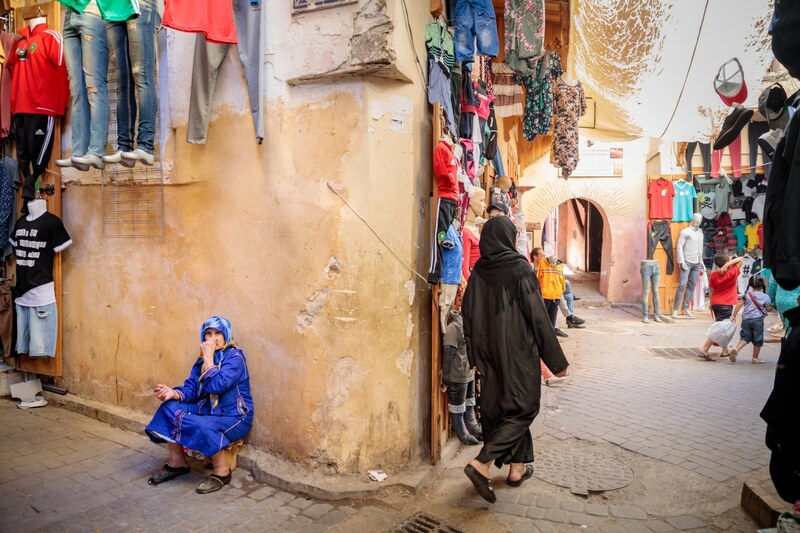 I skipped the leather market and went on to explore the streets of old medina. 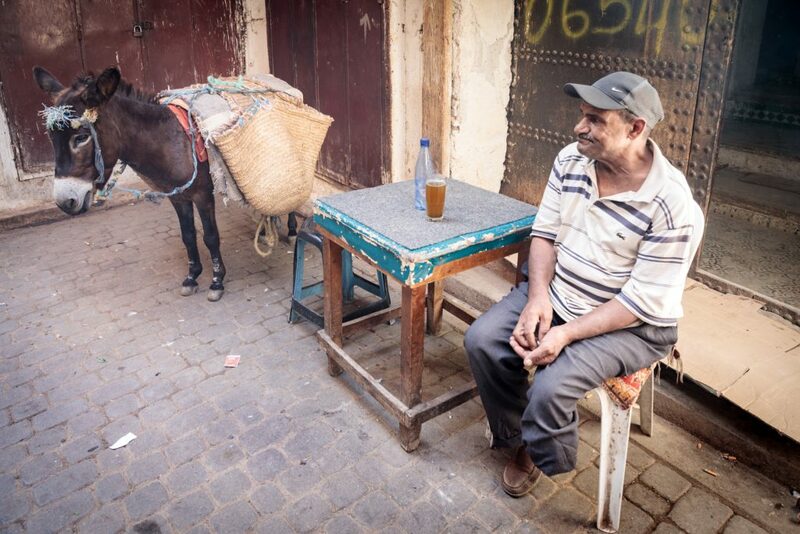 I achieved the smelly part of the city, so to I am of to explore the vivid markets I previously passed. 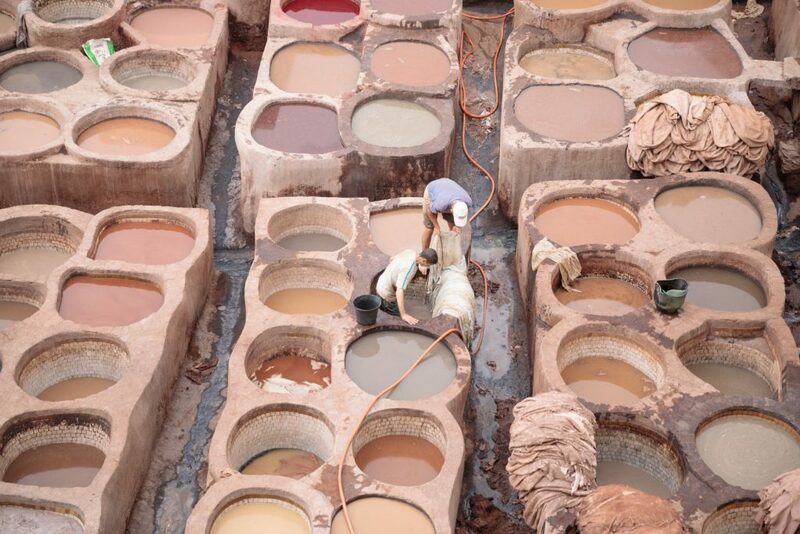 I am going to see moroccan tiles now, are you interested? Fes is a northeastern Moroccan oldest imperial city located to the northeast of Atlas mountains. 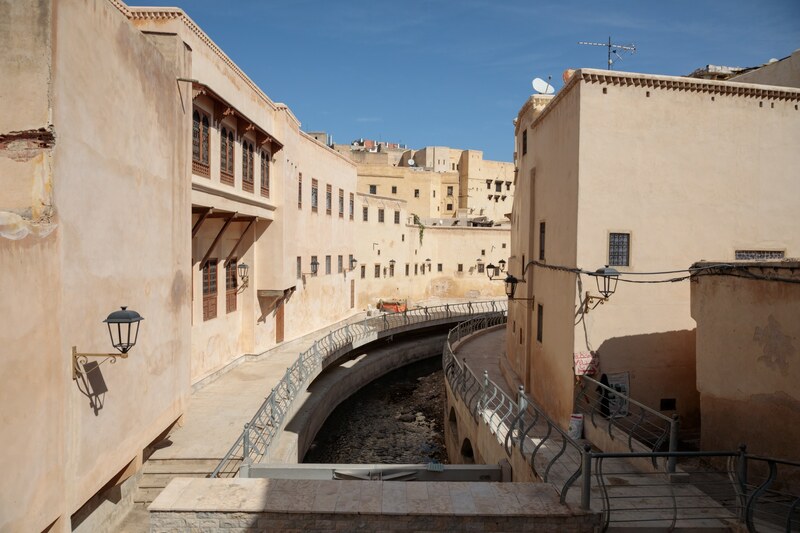 Laid out in the ninth century on the river Fez, with UNESCO protected El Bali walled medina. Once a capital (the largest medival Islamic settlement in the world is the second largest city in Morocco after Casablanca with a population of 1.1 million.